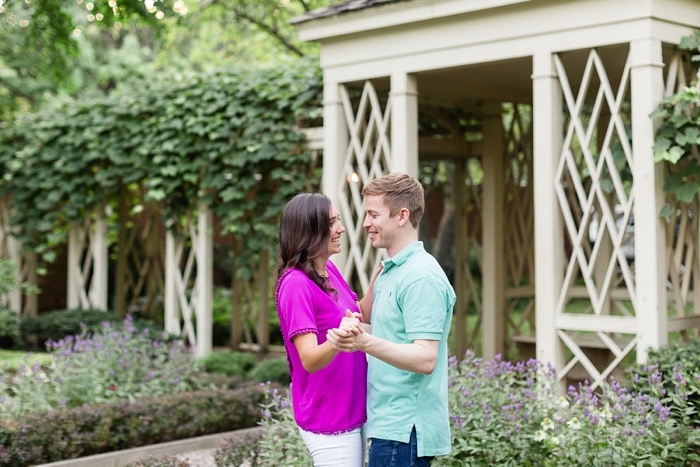 With the Eiffel Tower and Notre Dame in the distance, Ryan proposed to Allie in Paris! Can it get more romantic?? While enjoying a picnic by the Seine River, Ryan realized it was the right time to ask her to spend the rest of their lives together. I love their curiosity to explore the world…Allie was actually living in London for a year for work, and they were traveling around Europe together when he proposed. 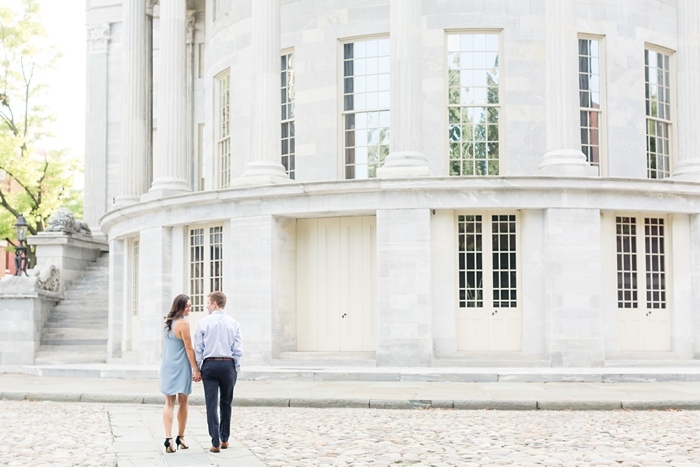 We ventured around Philadelphia’s old city for their engagement session. I just adore the classy background of the Merchant Exchange Building and the 18th Century Gardens. 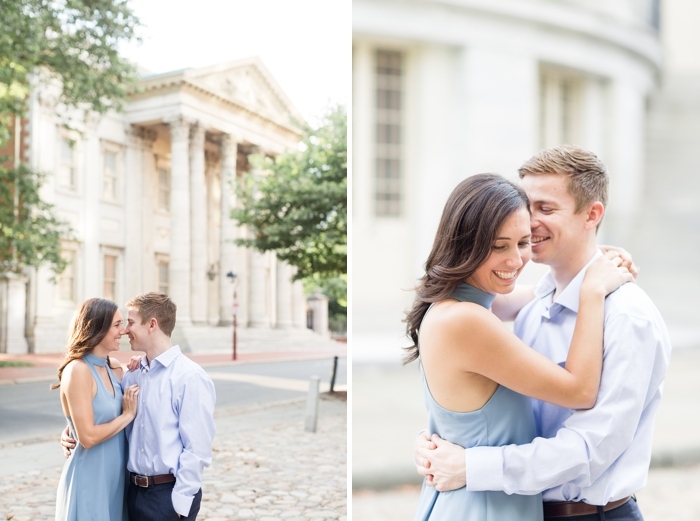 These two live nearby so they walked from their home to the session—how cool is that!? 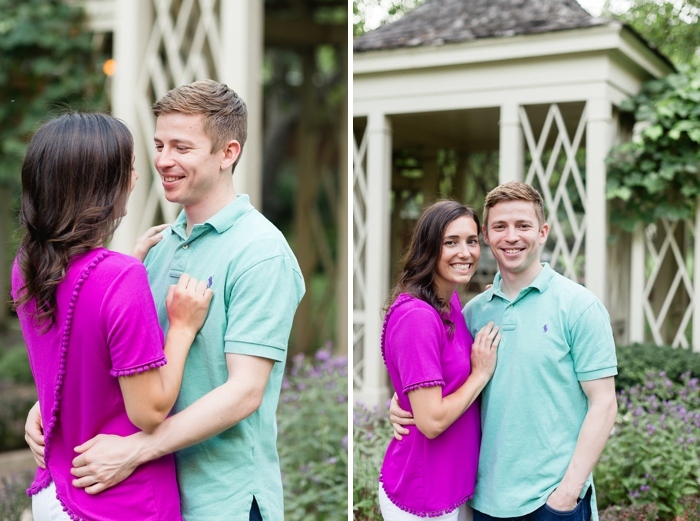 Can’t wait to celebrate with them at their September wedding!